Finding the right Chrome Parts Store and getting a free Accessories quote has never been easier with the help of customsuperstore.com. By receiving Accessories options from our Part Warehouse, you can choose the style and price that best fit your needs. MonsterChromeShop goal is to provide you with quality chrome accessories. In this site you will also find useful information about vehicle accessories, Parts tips, Vehicle Fitment Tips, Discount Chrome Parts Packages. 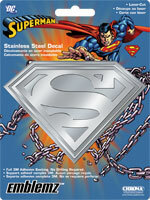 Custom Chrome Car Accessories, Mirror Covers, Door Handle Covers. Call for Discount Accessories prices.